Pune-based Pharmarack Technologies Pvt. Ltd, which provides a SaaS-based application for automated order processing and inventory management for pharma retailers and distributors, said it is in talks to raise a pre-Series A funding round as it plans to enhance its presence to more cities, a top company executive told Techcircle.in. Pradyumn Singh, CEO of Pharmarack, said the firm expects to raise $2 million (Rs 13.3 crore) within a couple of months from existing investors Unicorn India Ventures, a family office based out of Mumbai and others. However, Singh declined to reveal the name of the family office. "While the existing investors have agreed to put in a part of the targeted amount, we are also in talks with a few marquee venture capital firms. We expect to close the round by the end of June," said Singh. Singh said the funds would help the company enhance its presence to more cities besides augmenting its product development and technology capabilities. In February this year, Pharmarack secured $280,000 (Rs 1.87 crore) in seed funding from Mumbai-based early stage venture capital firm Unicorn India Ventures and an undisclosed family office based out of Mumbai. The funds were primarily used for product development and scaling up operations. Founded in September 2015 by Singh, Kushal Bhandari , Anupam Sarawagi and Bhavik Parmar, Pharmarack is a SaaS-based application that facilitates automated order processing and inventory management for pharma retailers and distributors. Pharmarack's application can be integrated into existing enterprise resource planning (ERP) system. The application is available in web and mobile versions. "We have created an ecosystem which is a go-to platform for the participants of the pharmaceutical supply chain," said Singh. Singh said companies in the pharma sector have little knowledge about what happens in the market once the manufactured drugs move out of the plant. Drug manufacturers can use Pharmarack's application to ascertain the inventory available with their warehouses and distributors and use the information to set their production targets. "The Indian pharma drug market is estimated at $15 billion (Rs 1 lakh crore). Around 3-4% of this value is burnt every year on account of expiry date and wastage," said Singh. Traction, expansion and revenue model The firm claims that since its inception, retailers and distributors have made transactions worth Rs 90 crore using its application. It also claims that currently 250 pharma distributors and close to 3,000 retailers use its product. 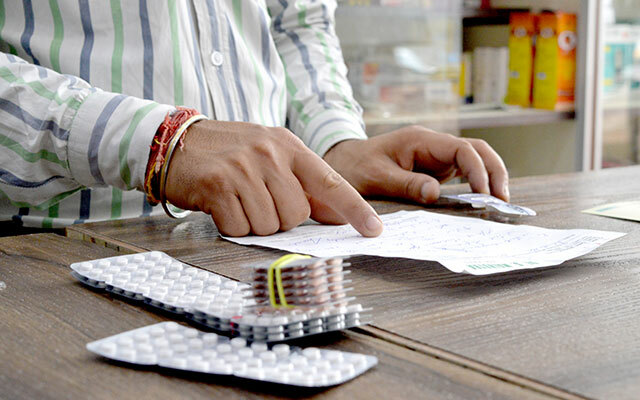 "An average of 4,000 orders peer day with an average ticket size of Rs 3,000 are processed through Pharmarack," said Singh. It is currently present in 10 cities including Mumbai, Pune, Thane and Nashik. It aims to be present in 35 cities by end of 2016 and 75 cities by March 2017. The cost of its product is Rs 3,000-Rs 4,000 per distributor per month. Pharmarack makes money through monthly subscription from its distributors.